I love making pork chops on the grill. 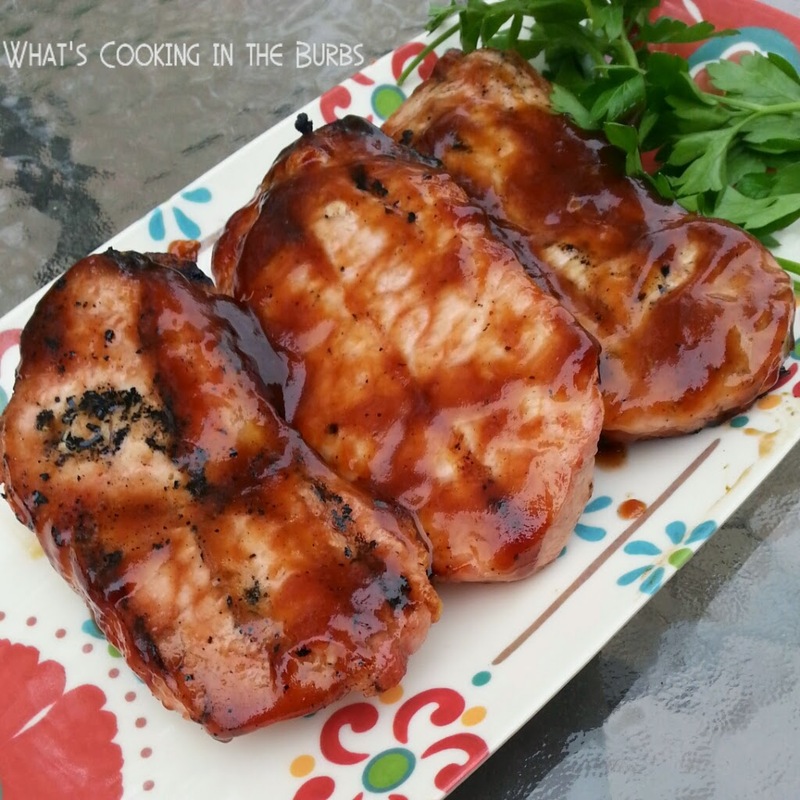 I think the they taste amazing and I am always looking for new sauces to baste them in. My husband loves Dr. Pepper so I knew he would love this sauce. Sweet and Spicy and of course delicious! For the sauce, whisk all ingredients and cook over medium-high heat for about 15 minutes. Stirring often. Reduce heat to low and let simmer another 5-10 minutes. For the chops-Grill over medium-high heat about 10 minutes per side (depending on thickness) About 2 minutes before removing from grill baste with sauce. Enjoy! Bridget, I do like dr. pepper and I love pork and add spicy and I am happy! I've never been a fan of Dr. Pepper, but I bet this sauce tastes awesome! Thanks so much for sharing with us, at Simple Supper Tuesday.